After a few years of calm, the wind was back for the Credit Union Cherry Blossom Ten Mile Run, but it didn’t slow Janet Bawcom as she set an American record while winning her third consecutive USA Women’s 10 Mile Championship. 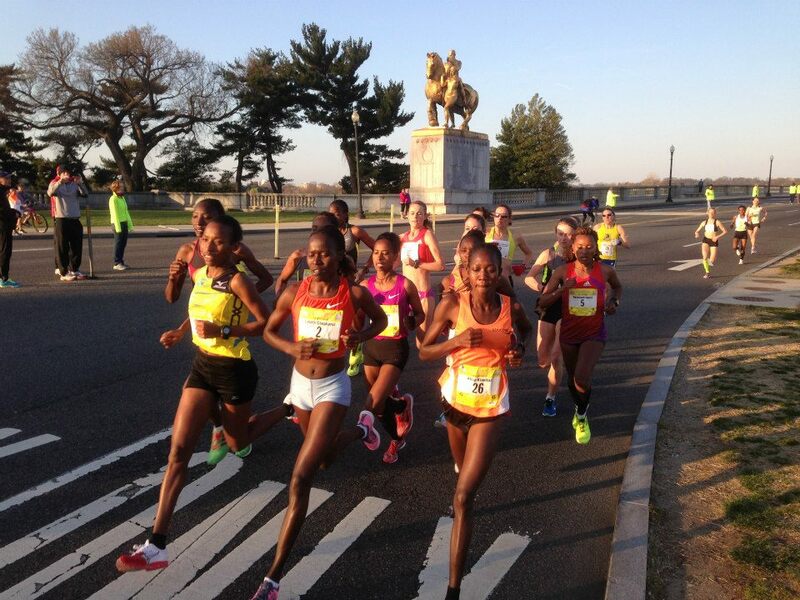 The men, lead by Kenyans Daniel Salel with half-second victory over Allan Kiprono in 46:05 were off of Kiprono’s winning 45:15 last year, but Kenyan Caroline Rotich (52:46) and her three-second lead over Ethopian Belaynesh Oljira broke a two-year tradition of the women’s winner running 54:02. Three Quarters of a Century Young, Tom Cowley.